August 30, 2015 – Library Card Sign Up Month! May 25 – oops, forgot to send it out! 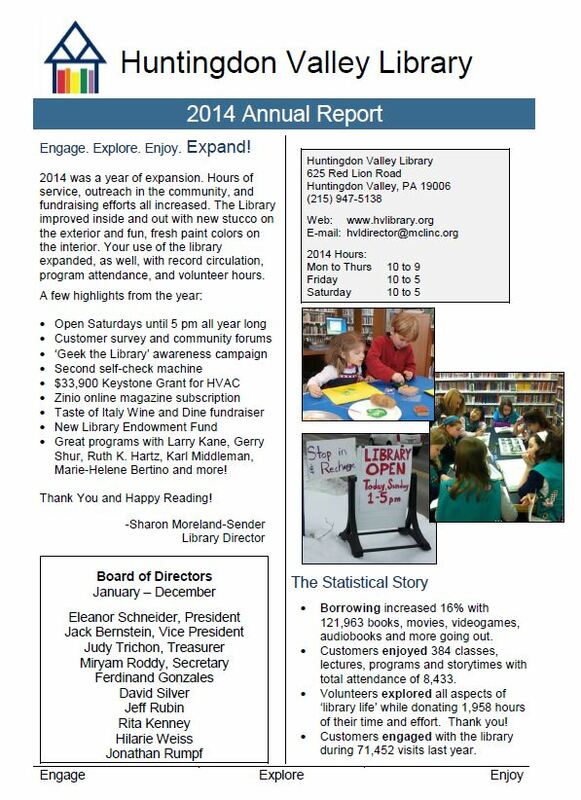 On November 17, 2011, the Huntingdon Valley Library launched this informational blog as a supplement to the Huntingdon Valley Library Web site. We resurrected the site in July 2012 to share up-to-date information about programs, new materials, and other articles of interest to our library visitors and members. For more than a decade now, if the library holds a place of honor in your life, then you have most likely heard some of the talk of how libraries are changing. It’s true – on an ongoing basis, libraries are constantly shifting, evolving, finding new ways of delivering services (or reviving the old ways when the technology acts up). Throughout all these changes, the Huntingdon Valley Library has remained, along with its mission to serve the Lower Moreland community. We have remained – but we have not remained the same. I say “we”, in reference to myself as a member of the staff, but case in point, I am one of the ways in which the library has changed. It’s my fifth week here!